SEARCH teams hunting for the wreck of AirAsia flight QZ8501 are focusing their efforts on four large objects found on the seabed off the coast of Borneo, as the search for bodies continues. The Indonesia AirAsia airbus A320-200 plunged into the Java Sea on Sunday while en route from Indonesia's second-biggest city Surabaya to Singapore. Of the 162 passengers on board the plane, no survivors have been found. 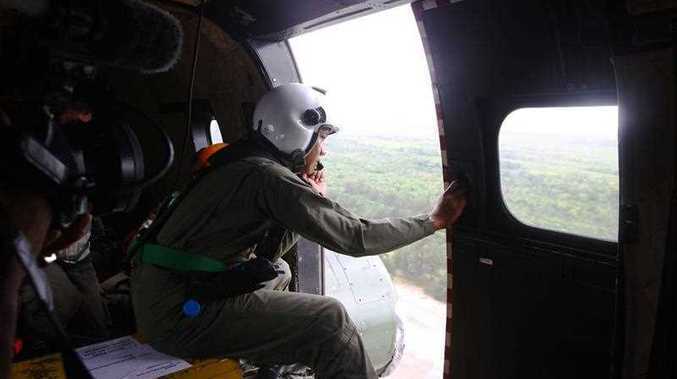 A multi-national task force of ships, planes and helicopters have been scouring the northern Java Sea and coastline of southern Borneo to recover the bodies of victims and locate the wreck and its black box flight recorders. "We've found four big parts from the plane we're looking for," search and rescue agency chief Fransiskus Bambang Soelistyo told reporters in Jakarta.